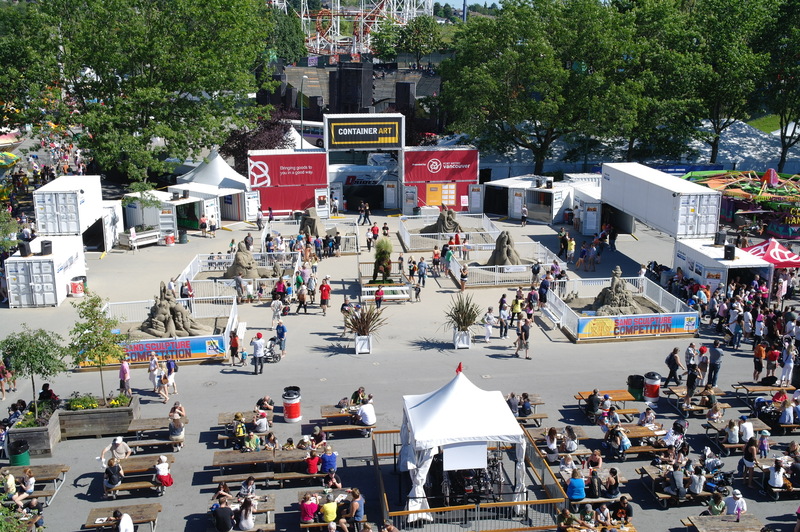 Since 2009 the PNE, a ContainerArt partner, guided by its VP Peter Male and supported by a team of engineers and curators has surprised us with ever-evolving ContainerArt Museum shapes. Nowhere in the world has container museology been explored with such commitment. 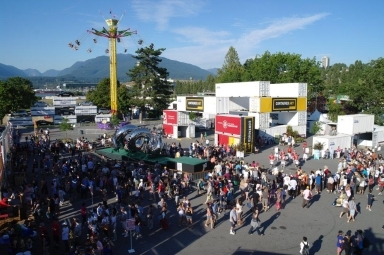 As per ContainerArt re-use and recycle ideology, no structural changes, or holes where made to the containers: at the end of each summer event, Containers used to host art are returned to their role as shipping/storage devices. In 2009 a first portal shape, funneling to a container plaza.